Some popular online games are breaking rules on gambling, the Dutch gaming authority said on Thursday. The makers have been told to adapt the games before June this year or face fines or a ban. The gaming authority looked into ten popular games all of which featured a so-called loot box, a treasure chest with extra objects that players can buy, such a weapons or clothing. In four cases the contents of the loot box depended on luck: the player does not know what he is going to get and to get something extra special he needs to buy lots of loot boxes. The gaming authority says this conflicts with gambling rules. In addition, the contents of the boxes can also be traded for money offline, and this too contravenes the law on gaming. 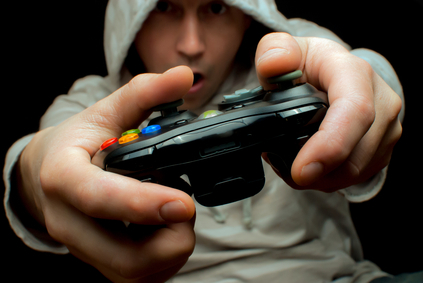 These type of games can also lead to a gambling addiction, the gaming authority says. ‘The computer games have been designed like gambling games, and they give the player the feeling they have almost won,’ gaming authority director Marja Appelman told broadcaster NOS ‘When you open a loot box there are all sorts of sound effects and that encourages people to keep playing.’ Appelman wants game designers to ban access to loot boxes for children and remove the addictive elements. The other six games do not offer the opportunity to trade the prizes from the loot boxes but come in for criticism as well. The loot boxes are like a virtual fruit machine and young people in particular are susceptible to developing a gambling problem, the authority says. The authority said it had launched its investigation after concerns were raised by gamers, parents and addiction care. It did not name the worst offending games, but NOS said Fifa18, Dota2, PugG and Rocket League were the four singled out for breaking gaming laws. It is estimated that loot boxes bring in some €24m a year for gaming companies and without regulation this will rise to €40m by 2020, NOS writes.